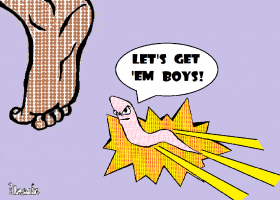 Is a skin-penetrating nematode searching for you? Football fervour dampened by dengue fever? Can cows protect against mosquito bites?